The Risco Agility 3 is Insurance approved and provides a very high level of security for your home. With advanced motion detectors and integrated cameras, you can detect, record and store footage of a break-in. The footage can then be viewed directly on your smartphone or tablet. The Agility 3 is more than just a home alarm system. You can customize your alarm with a range of accessories and sensors to protect your family from intruders, smoke and carbon monoxide. With the Agility 3, you can be absolutely connected at all times. 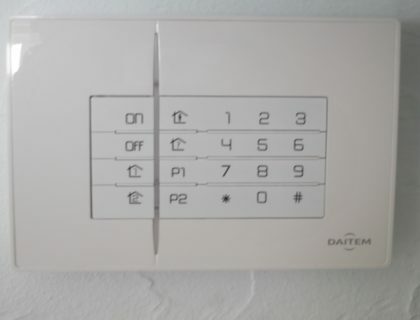 Agility 3 is a wireless security system designed for the home, which uses detectors that are connected to a central panel. Agility 3 provides more – its a smart security system that uses passive Infra-red PIR cameras, which can sense and record movement inside the home. iRisco is a Smartphone App that allows you to control your home security system wherever you are. The app is compatible with all smartphones & tablets running on Apple or Android systems and can be downloaded directly from their respective App Stores. A desktop application is also available for PC users and can be accessed via web browser. What can the iRisco app do? Quick Bypass – enables the user to set the system even when it is a Not Ready status. If you own multiple properties you can benefit from Risco’s multi-panel support feature that allows you to monitor 5 different panels without the need to switch between multiple login accounts. eyeWAVE Wireless PIR The eyeWAVE Wireless PIR Camera Detector is a battery powered PIR detector that includes an integrated camera for visual verification and is compatible with the Risco Agility 3 security system. Upon an intrusion event, or by homeowner demand, the camera captures and transmits a sequence of images to the Agility 3™ control panel that is then transmitted via GPRS or IP communication to a remote server or to the central monitoring station software. iWise Wireless Pet Detector The iWISE DT PET is ideal for any type of installation where pets are present, allowing complete freedom of movement for pets with no loss of intruder detection. Wireless Gas Detector The Wireless Gas Detector detects the build-up of cooking and heating gases including butane, propane and methane (Natural Gas) which may signify a leak and potential danger. Wireless Smoke & Heat Detector The Wireless Smoke and Heat Detector combine two advanced technologies within a compact and streamlined design. The Smoke and Heat Detector provides early detection of fire hazards within different environments with a reduced risk of false alarm. The detector is EN 14604 certified, easy to install and is compatible with the RISCO two-way wireless range. 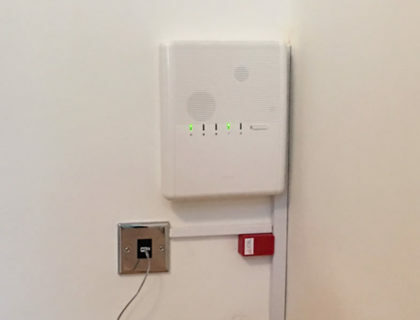 The Agility 3 alarm system is connected to a cloud service called the Risco Cloud, which allows you to connect to your home alarm system using the Risco smartphone app. This allows you to view images taken from the motion sensors or activate/deactivate the alarm remotely. You can connect to your home from anywhere so if the PIR cameras sense unusual activity in the home it will send you a message directly to your smartphone. You can view the images directly on your smartphone. All images are stored on the Risco Cloud server so if its a real burglary; its been recorded! Our team of installers can advise and install the Agility 3 alarm in your home or small business premises. This home alarm is one of the most advanced on the market and we’re proud to be able to offer this product to our customers. The best feature of this alarm is any recorded video footage is stored on a remote server and thanks to the smartphone app you can easily view this footage on your mobile phone.